Ayo!’s latest project is in full swing. The FAR crowdfunding platform aims to give children from Armenia’s Shirak Province the chance to go to summer camp this year. Each year, World Vision Armenia organizes something called Dream Camp, which is open to needy children from nearly every region of Armenia, including Yerevan. The purpose of the summer camp is to empower kids by providing them with the opportunity to learn essential life skills, like disaster preparedness and first aid, to build their knowledge of children’s rights protection, and to give them the chance to make new friends and have fun in a healthy group setting. This summer, Ayo! 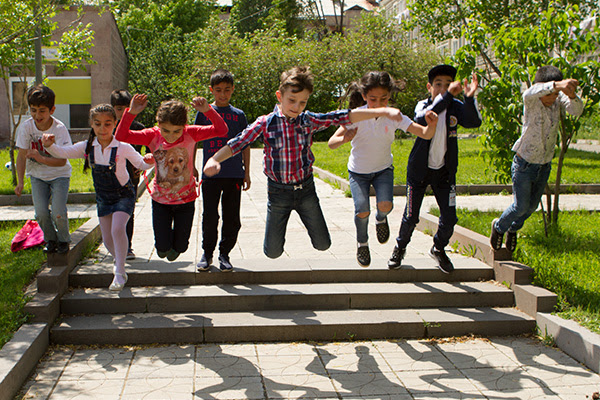 decided to partner with World Vision to initially send 50 children from Shirak, specifically Gyumri and Amasia, to the seven-day camp through its #DreamCamp project. After the campaign was unexpectedly fully funded in just two weeks, Ayo! decided to forge ahead with its fundraising by trying to raise enough to send 100 children to camp. One third of the kids who go to Dream Camp are from socially vulnerable families. According to World Vision’s own observations, summer camp positively impacts the lives of children by helping them to gain self-confidence, resilience in critical situations, self-determination, better communication skills, a sense of care toward friends and community, awareness of their rights, and conflict-management skills. Join Ayo! in giving opportunity to the children of Shirak and support #DreamCamp today!